As Ruth 2:2 relates, Boaz was “a prominent rich man.” Whatever connotations that might have today, in Boaz’s case that meant he was one of the best bosses in the Bible. His leadership style began with respect. When he came out to the field where his men are working, he greeted them with a blessing (“The Lord be with you.”), and they responded in kind (“The Lord bless you.” Ruth 2:4). Boaz’s workplace is remarkable at many levels. He owned and managed an enterprise that depended on a hired workforce. He controlled the work environment of others. In contrast to many work environments where supervisors and owners treat their workers with disdain and workers have no respect for their bosses, Boaz had fostered a relationship of trust and mutual respect. Boaz put his respect for his workers into practice by providing them with water as they worked (Ruth 2:9), by eating with them, and most of all by sharing his food with the person regarded as the lowest among them (Ruth 2:14). Later we learn that at harvest time, Boaz the landowner winnowed with his harvesters and slept with them out in the field (Ruth 3:2–4, 14). Boaz demonstrated a high view of every human being as an image of God (Genesis 1:27, Proverbs 14:31, 17:5) by the sensitive way he treated the alien woman in his workplace. When he spotted her among the workers, he asked gently, “To whom does this woman belong?” (Ruth 2:5), assuming she was attached/dependent upon some man—either as wife or daughter—perhaps some landowner in the area. When he heard that she was a Moabite woman who had returned from Moab with Naomi (Ruth 2:6), and heard of her plea for permission to glean behind his harvesters (Ruth 2:7), shockingly, the first words he said were, “Listen carefully my daughter.” Sharing his food with a foreign woman (Ruth 2:14) was a more significant act than it might appear. Respectable landowning men were not accustomed to conversing with foreign women, as Ruth herself points out (Ruth 2:10). A man with more concern for social appearances and business opportunities, and less compassion for someone in need, might have sent a female Moabite intruder off his land at once. But Boaz was more than willing to stand up for the vulnerable worker in their midst, whatever the reaction of others might be. The male workers were not to “bother” this woman. Normally the word, naga, means “to touch,” but here it functions more generally for “to strike, harass, take advantage of, mistreat.” Boaz recognizes that the implication of being touched is determined by how the person being touched perceives it. Ruth was to have equal access to water (Ruth 2:9) and to the lunch table (Ruth 2:14). At meal time, Boaz invited Ruth to come sit with him and his workers and to dip her morsel of bread in his sauce (Ruth 2:14). Then he himself served her until she was more than satisfied. The choice of verb, nagash, “to come near, approach,” suggests that as a stranger Ruth had deliberately and appropriately (according to custom) kept her distance. Boaz’ sexual harassment policy is not simply restrictive—prohibiting certain actions— but it is positive in its intent, meaning that the response of the one in danger of harassment is the gauge of what others may do. Boaz looked to whether Ruth felt safe as the measure of whether he was offering the protection she needed. He demonstrated by example how he expected vulnerable female workers to be respected. Boaz’ regular employees were not to reproach (Ruth 2:15) or rebuke (Ruth 2:16) her. Along with the word “bother” in 2:9 , these expressions demonstrate that harassment comes in many forms: physical, emotional, and verbal abuse. In fact, with his effusive pronouncement of blessing upon Ruth (Ruth 2:12), Boaz represents a dramatically affirming model. The regular employees were to make Ruth’s work environment as secure as possible and to go out of their way to assist her in achieving her work tasks (Ruth 2:15–16). In the workplace, prevention of harassment means not only creating a safe environment, but a productive one for those at risk. Barriers to productivity, advancement, and their attendant rewards must be eliminated. Boaz could have made Ruth safe by keeping her at a great distance from the male workers. But this would have denied her access to water and food, and may have caused loss of grain due to wind or animals before she could gather the sheaves. Boaz made sure that the safeguards he created enabled her to be fully productive. Boaz’ workers seemed to catch his generous spirit. When their boss greeted them with a blessing, they blessed him in return (Ruth 2:4). When Boaz asked about the identity of the woman who had appeared at his field, the supervisor of the workforce acknowledged that Ruth is a Moabite, but exhibited a gracious tone (Ruth 2:6–7). The fact that Ruth brought an entire ephah of grain home to Naomi testifies to the workers’ positive response to Boaz’s charge to treat Ruth well. Not only had they obviously cut a lot of grain for her, but they had also accepted this Moabite woman as a co-worker for the duration of the harvest (Ruth 2:21–23). 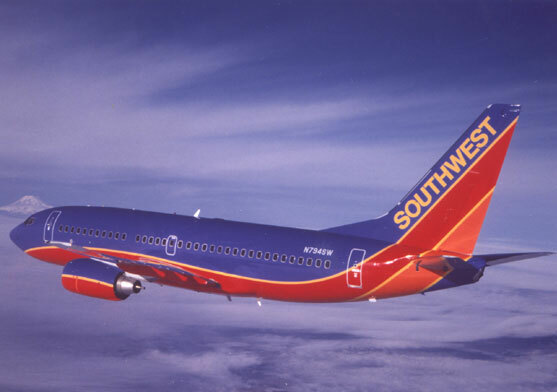 How does Southwest Airlines manage to attract 90,043 applicants for 831 open positions? In "Happy 40th Birthday, Southwest Airlines!," David Gill outlines the reasons for the airline's success. The positive effects of Boaz’ leadership extend beyond the workplace. When Naomi sees the results of Ruth’s efforts, she blesses the employer who had given her work and praises God for his kindness and generosity (Ruth 2:20). Later, it becomes obvious that Boaz’s high reputation in the community is bringing social harmony and glory to God (Ruth 4:11-12). All leaders—indeed all workers—shape the culture in which they work. Although we may think that we are constrained by our culture to conform to unfair, meaningless, or unproductive ways of working, in reality the way we work profoundly influences others. Boaz, a man of means in the midst of a corrupt and faithless society (Ruth 1:1, where “when the judges ruled” is a shorthand for a corrupt society) succeeds in creating an honest, successful business. The harvest supervisor shapes egalitarian practices in a society shot through with misogyny and racism ( Judges 19-21 ). Ruth and Naomi create a loving family in the face of great loss and hardship. When we feel pressure to conform to a bad environment at work, the promise of God’s faithfulness can overcome all the doubts we take on board from the cultural and social dysfunction around us. Fredric W. Bush, vol. 9, Ruth, Esther, Word Biblical Commentary (Dallas: Word, Incorporated, 1998), 129. Daniel I. Block, “Unspeakable Crimes: The Abuse of Women in the Book of Judges,” The Southern Baptist Theological Journal 2 (1998): 46–55. Daniel I. Block, Judges, Ruth (NAC; Nashville: Broadman & Holman, 2002), 659–60. David W. Gill, "Happy 40th Birthday, Southwest Airlines! ", Ethix 73, January 9, 2011, http://ethix.org/2011/01/09/happy-40th-birthday-southwest-airlines. This study of Ruth helps readers explore how God is at work in and through our lives, even when can't see it in the moment. Designed for 30-minute lunch breaks, the study contains Scripture references, thought-provoking questions and prayers. Adopted by the Theology of Work Project Steering Committee May 15, 2013.